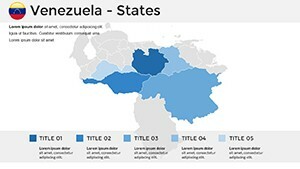 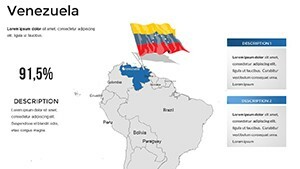 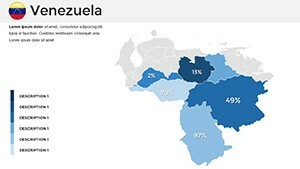 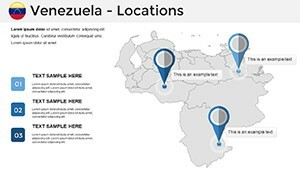 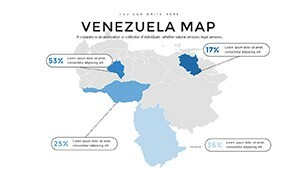 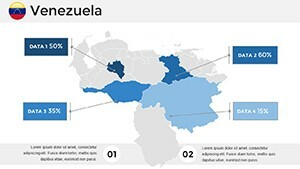 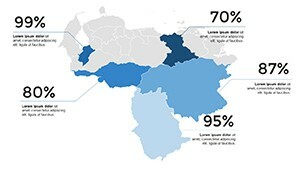 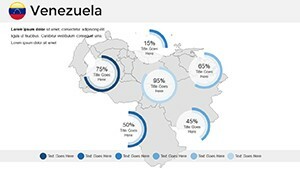 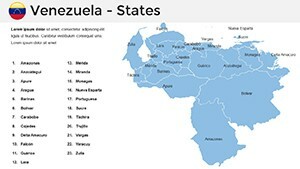 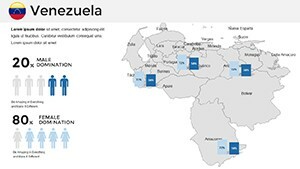 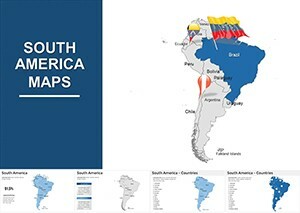 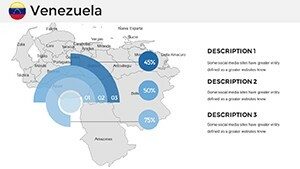 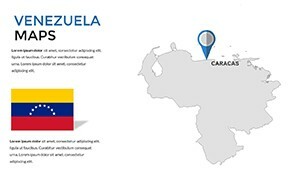 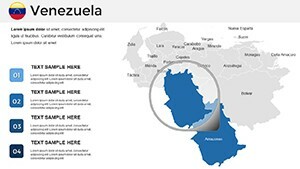 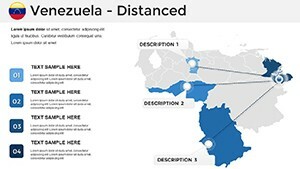 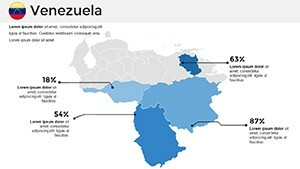 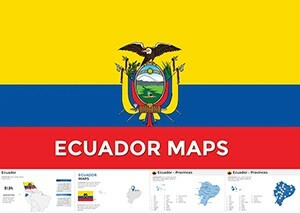 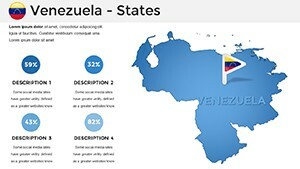 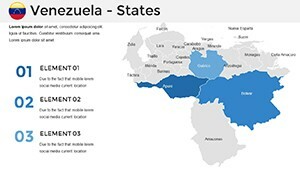 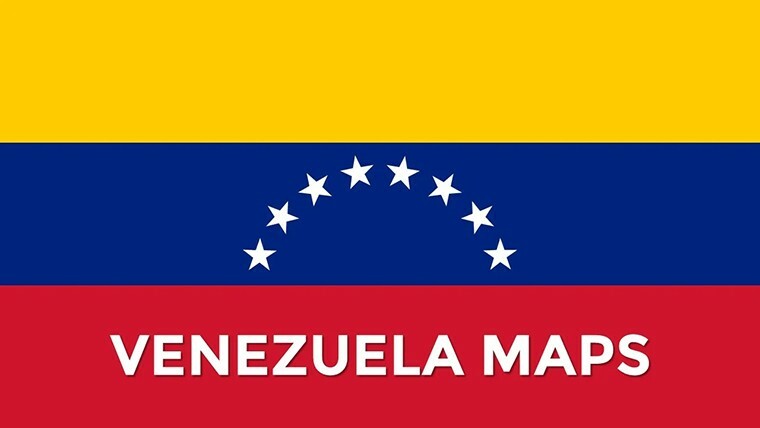 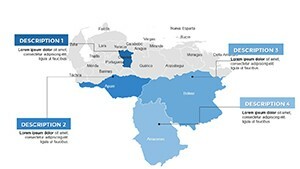 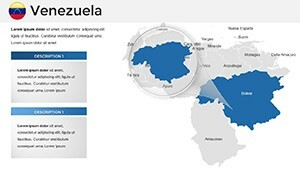 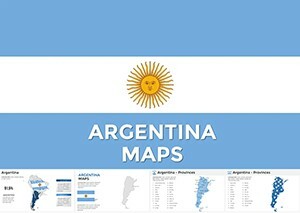 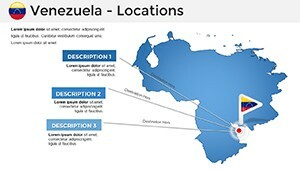 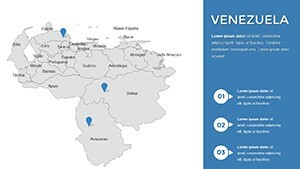 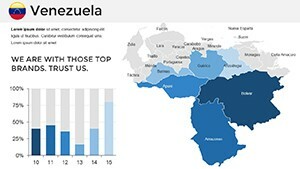 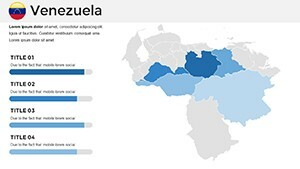 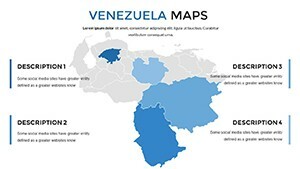 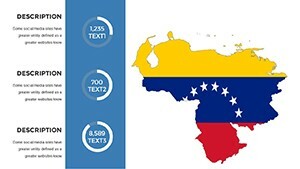 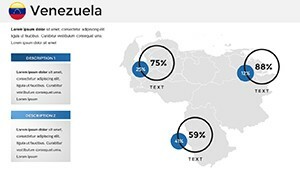 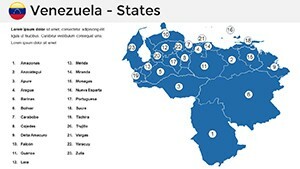 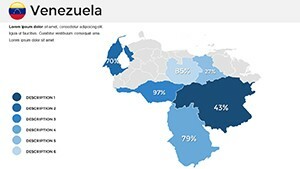 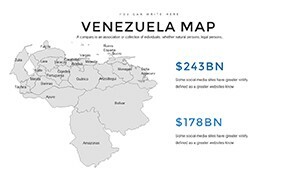 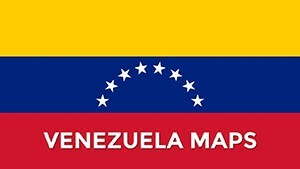 Ready-to-use Venezuela Keynote Maps will create professional presentation. 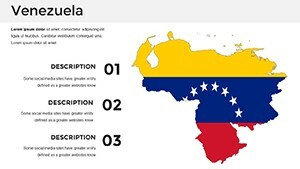 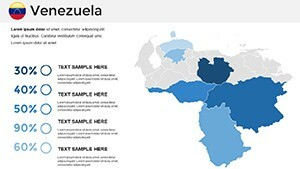 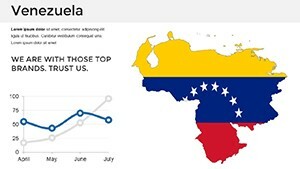 After downloading, various stylish slides with Keynote maps of Venezuela, which you can edit, will be available in the template. 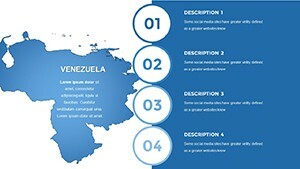 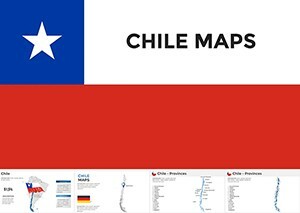 Also you are given the opportunity to use the diagrams of the template, the flag and other illustrations.